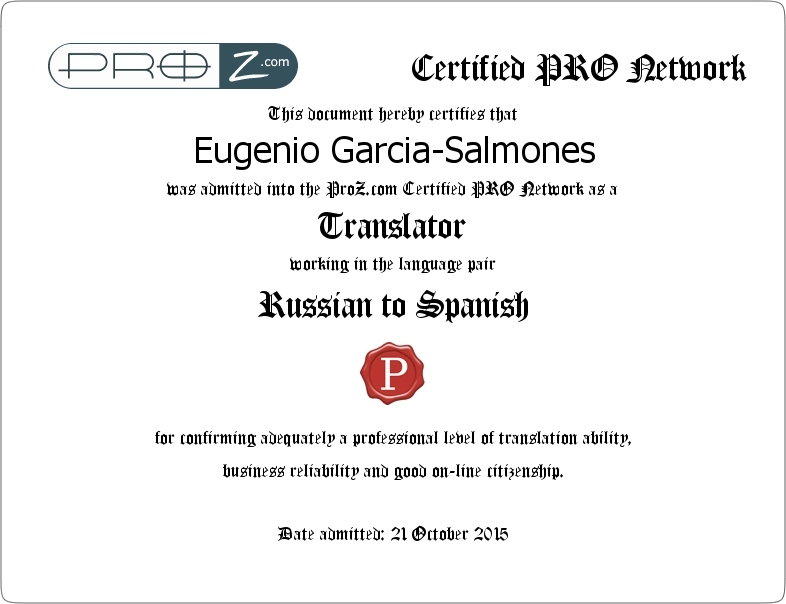 My name is Eugenio Garcia-Salmones and I’am an experienced spanish translator and interpreter, lover of Russia and its culture. 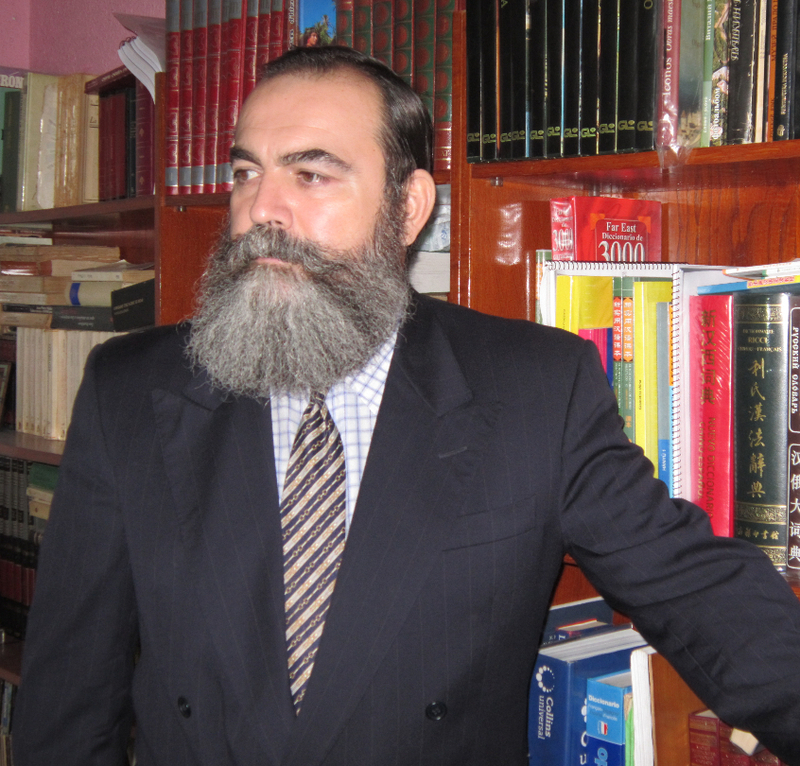 My experience accumulated over the years, covers a certain amount of technical fields, including; the economic and financials issues, general medicine, the oil and petroleum, recycling and military industry and the political, financial and economic journalism. It stresses, especially in the field of bilateral interpretation the quality of my work, responsibility and absolute confidentiality. I have a deep knowledge of the today Russian socio-economic, political and cultural reality, allowing me to offer a high quality service, which are often a guide for my clients, because I’am able to clarify many nuances that otherwise are lost.